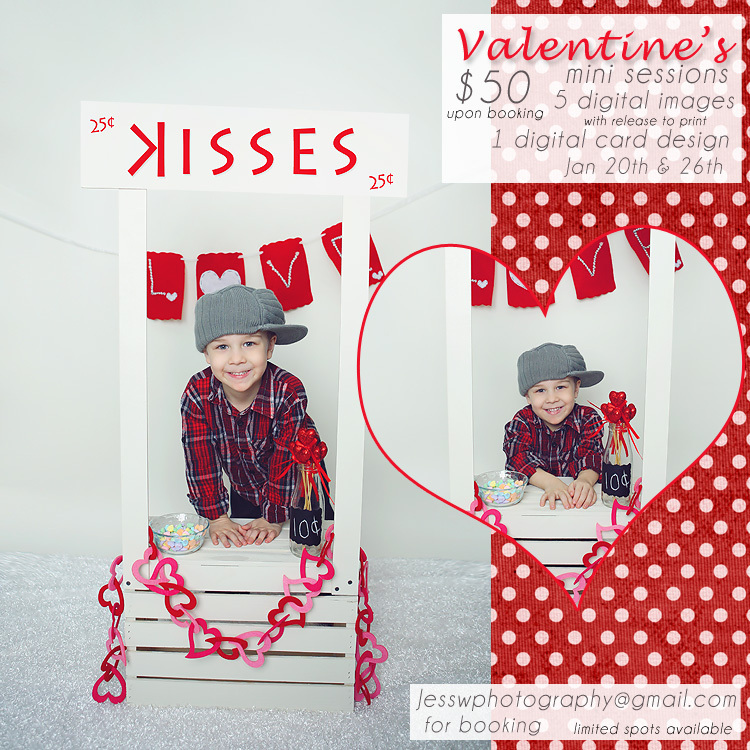 Valentine’s day Mini sessions will be held in the studio. Limited spots available Jan 20th & 26th. Mini session fee is for one child. $25.00 fee for each additional child. (can be shot together or separately) Please E-mail Jesswphotography@gmail.com for questions or booking.